The Persian Leopard, also called the Caucasian leopard, is the largest leopard native to the Caucasus region, southern Turkmenistan, parts of western Afghanistan and northern Iraq. It is listed as Endagered on the IUCN (International union for the Conservation of nature) Red list. The world population is estimated at fewer than 1,300 mature individuals and considered declining. Until the middle of the 20th century, Persian leopards were common in the Caucasus. The leopard’s demise in the Caucasus began after Russia conquered the area in the second half of the 19th century and turned it into royal hunting grounds. Imperial authorities proclaimed the leopards pestilent and awarded generously for their skins. The extermination campaign by guns and prey spiked with strychnine- a type of poison- continued into the soviet period, until the leopard was labeled an endangered species in the 1950’s by the Soviet government. The Persian Leopard population had dramatically decreased, and was entirely extinct in some areas due to the above mentioned human activities. By then leopard numbers were too few for the population to recover on its own. Mirpuri Foundation has approved a program to support the reintroduction of the Persian Leopard into their natural habitat in the Caucasus in partnership with Lisbon Zoo. The program will run until 2020. A leopard pair brought from the Lisbon Zoo had their first litter in a special built Center in Sochi National Park (Caucasus) in 2013. Initially, the Center hosted two males from Turkmenistan and two females from Iran. By 2016, a total of 14 kittens were born in the center. 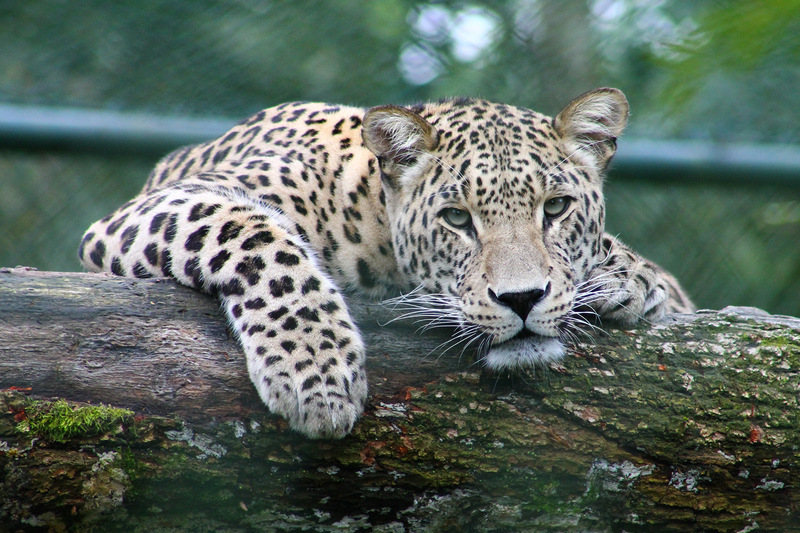 Adult leopards from Zoos cannot be released into the wild- they are unable to catch prey and are not afraid of humans. The Sochi Center was built to breed and prepare leopards for a life in the wild. The leopards released today have reached sexual maturity and received special training to survive independently in the wild. They also have satellite collars that will allow program staff to track the cats after their release. The program aims to create a self-sustaining Persian leopard population in the wild, which means a population of at least 50 leopards in the Northern Caucasus. Though there is still much work to do, the first release offers tremendous hope for these endangered cats. Akhun, Killy and Victoria became the first captive-raised Persian leopards released into the wild anywhere in the world. Mirpuri Foundation is funding three expeditions to photograph the Persian Leopard, its natural habitat in the Caucasus and the communities around. It is also supporting the training of a Portuguese Vet from the Lisbon Zoo in the United States on a special technique for assisted fertilization, that will further increase the chances of breeding for endangered species including the Persian Leopard amongst others mammals. The Foundation has also approved the production of a book in several languages that will promote the Persian Leopard in the local communities and children in particular.